Chelsea Green Publishing Company, 9781890132521, 240pp. Permaculture is a verbal marriage of permanent and agriculture. Australian Bill Mollison pioneered its development. Key features include: use of compatible perennials;non-invasive planting techniques;emphasis on biodiversity;specifically adaptable to local climate, landscape, and soil conditions;highly productive output of edibles.Now, picture your backyard as one incredibly lush garden, filled with edible flowers, bursting with fruit and berries, and carpeted with scented herbs and tangy salad greens. The visual impact is of Monets palette, a wash of color, texture, and hue. But this is no still life. The flowers nurture endangered pollinators. Bright-featured songbirds feed on abundant berries and gather twigs for their nests.The plants themselves are grouped in natural communities, where each species plays a role in building soil, deterring pests, storing nutrients, and luring beneficial insects. And finally, you--good ol homo sapiens--are an integral part of the scene. Your garden tools are resting against a nearby tree, and have a slight patina of rust, because this garden requires so little maintenance. You recline into a hammock to admire your work. You have created a garden paradise.This is no dream, but rather an ecological garden, which takes the principles of permaculture and applies them on a home-scale. There is nothing technical, intrusive, secretive, or expensive about this form of gardening. 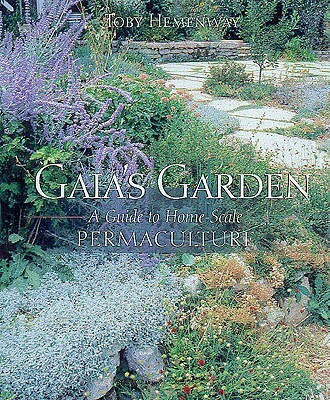 All that is required is some botanical knowledge (which is in this book) and a mindset that defines a backyard paradise as something other than a carpet of grass fed by MiracleGro.